Trademark Registration Colombia is one of WDALAW’s preferred markets. 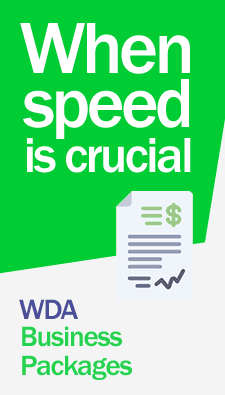 Get your trademarks and trade names registered in Colombia through WDA lawyers. Our Lawyers specialists in the field will obtain the registration of your trademarks and will keep you informed at all times up to the issuance of the trademark registration certificate. Contact Us Now. Intellectual property includes two specific areas: copyright and industrial property. Industrial Property: Decision 486 of the Commission of the Andean Community is the legal regulatory framework with regards to industrial property in Colombia. The same is regulated in Colombia under Decree 2591 of December 13, 2000, and Resolution 210 of January 15, 2001. Trademarks, trade names and slogans, invention patents, utility model patents, industrial designs and layout designs of integrated circuits. All of the aforementioned are protected under Colombian law. The Trademark Law of Colombia grants protection to all individuals and companies wishing to protect their trademarks and trade names in Colombia. The registration of a trademark in Colombia is valid for a period determined by the law of industrial property ten years. Allowing renewal within the time limits prescribed by law trademark of Colombia for the same periods. 1 – Search background of a trademark or feasibility study. Prior to the registration of trademarks and trade names. 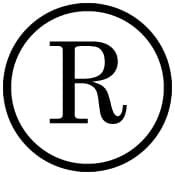 2 – Formally register trademarks, trade names, patents. 4 – Renewals and trademark registrations in general. 5 – Annuity payments for patents, designs and utility models. 6 – Amendments and modifications to records. 7 – Obtaining certificates or duplicates thereof for trademarks, trade names, and patents. 8 – Request for nullity of registrations, cancellations, Claims, litigation. 9 – Proceedings against industrial property law infringement. 10 – Legal proceedings against counterfeiting, defenses of copyright, trademark law infringements. For additional information on costs and prices for services for Colombia trademark registration. Contact Us Now.